Follow this link to my etsy shop for details or contact me via my ‘for sale’ page for enquiries on custom sizes. 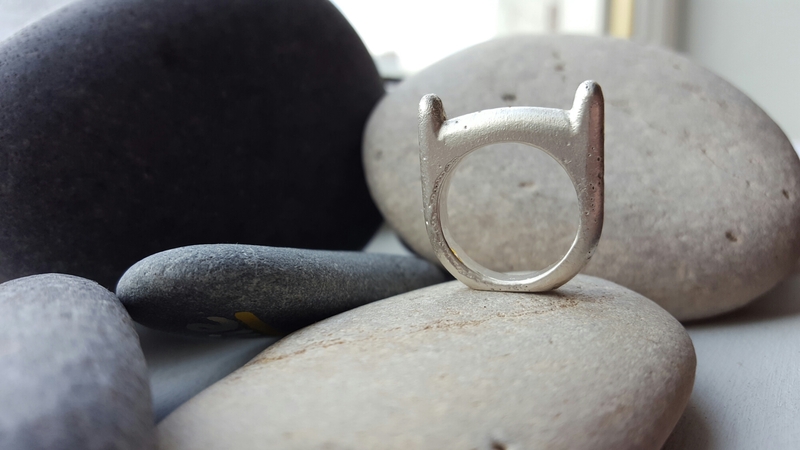 I’m currently working on making my wedding ring which has given me the opportunity to buy some small scale metal casting equipment. Casting is not something I have ever tried before so lots of practice is required to get it right. 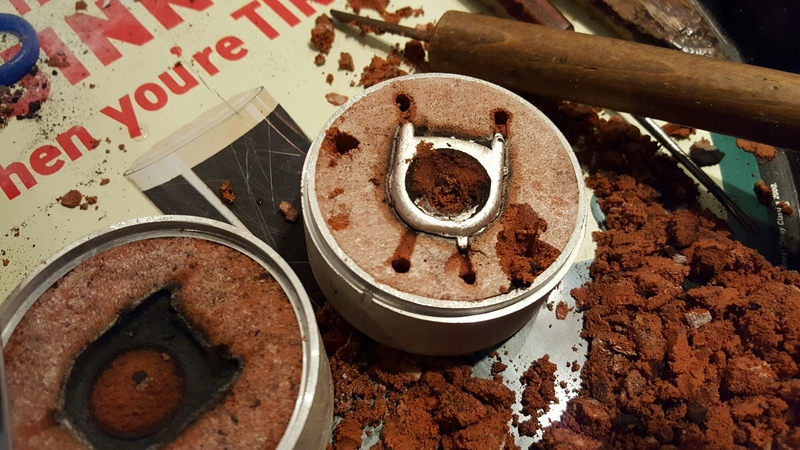 To practice I made a ring for Valentine’s day to give to my fiancé. I already sell plastic Adventure time rings I make using laser cutting but have always wanted to make one from silver. It took quite a few attemps to get my first successful casting but once I manage it is was able to replicate the success more consistently with each attempt. After I had produced a few rings I decided to list them for sale. 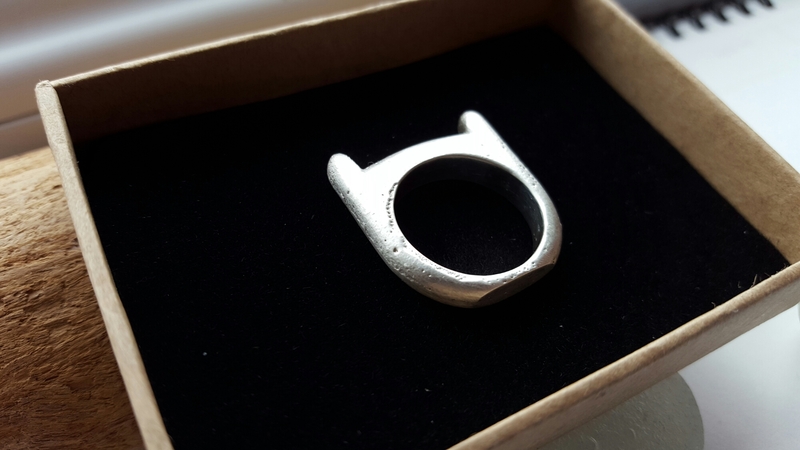 I have been asked a few times in the past about making metal rings as wedding or anniversary bands and I am happy that I am now able to offer some for sale. Follow this link to my etsy shop for details or contact me via my ‘for sale’ page for enquiries on custom sizes. 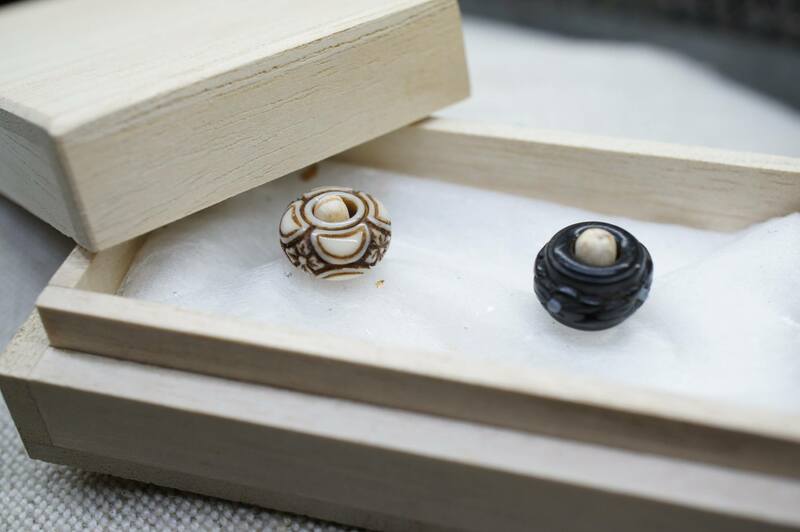 Although I mainly concentrate my carving efforts on the Japanese art of netsuke practice and doodle with scraps of material all the time to improve my skills. 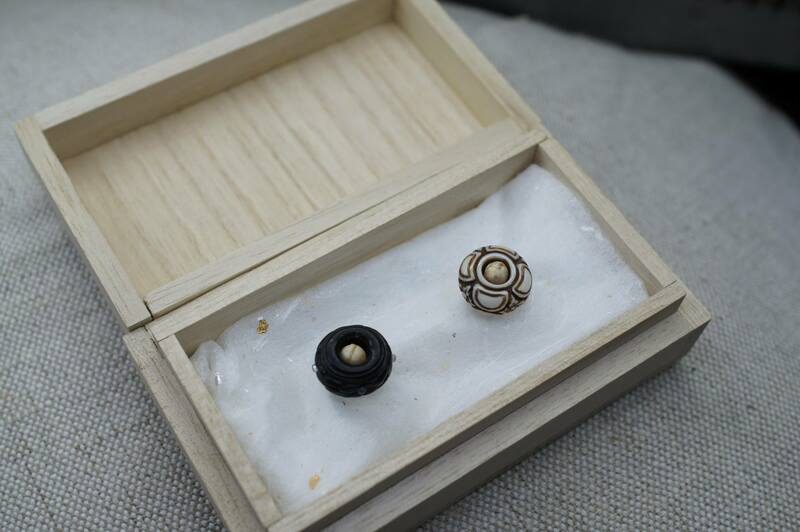 Occasionally this leads to a commission of small items which spark my imagination. 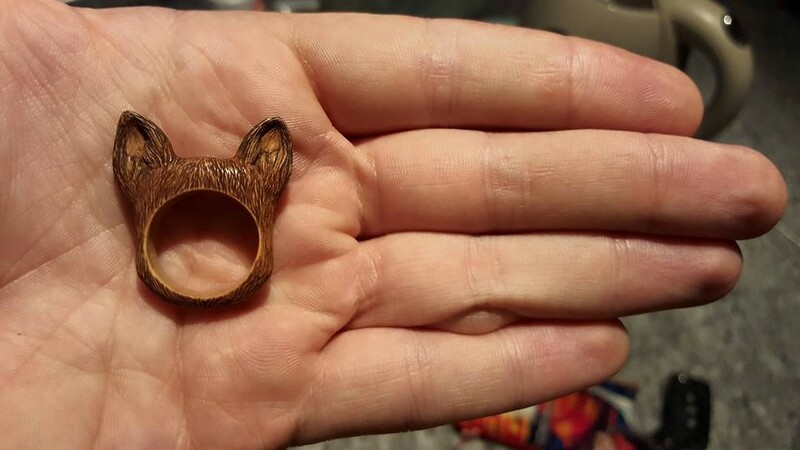 My two most recent commissions comprise of a fox eared ring made of box wood and two troll beads to fit on a Pandora necklace. 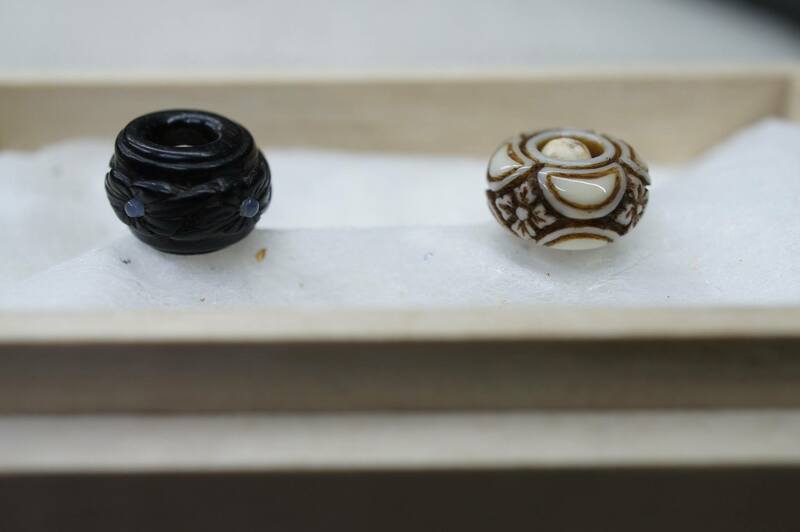 Here are some photos of the pieces. The ring was the most enjoyable to make. 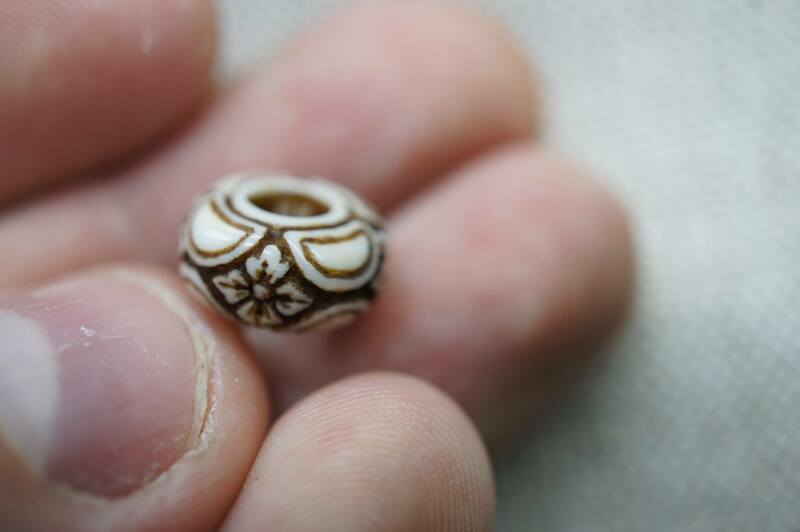 The beads were quite stressful without the aid of a lathe. 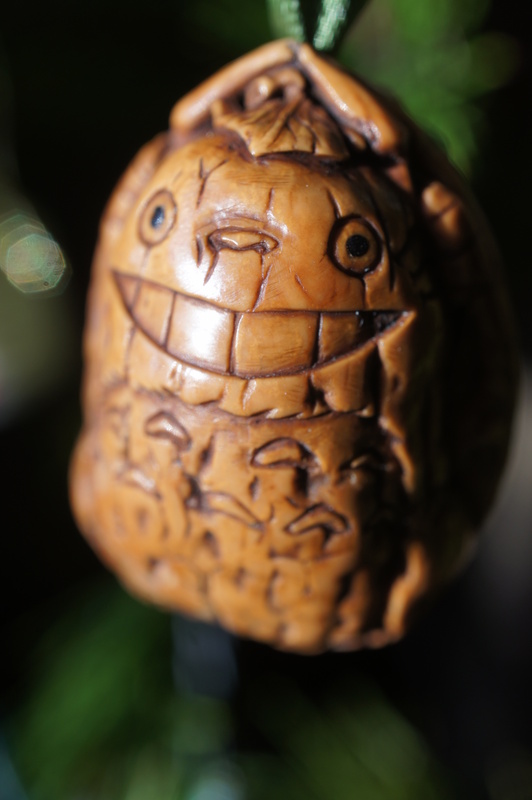 Getting into the festive spirit I though it would be nice to share a few pictures of a bauble I carved this year. 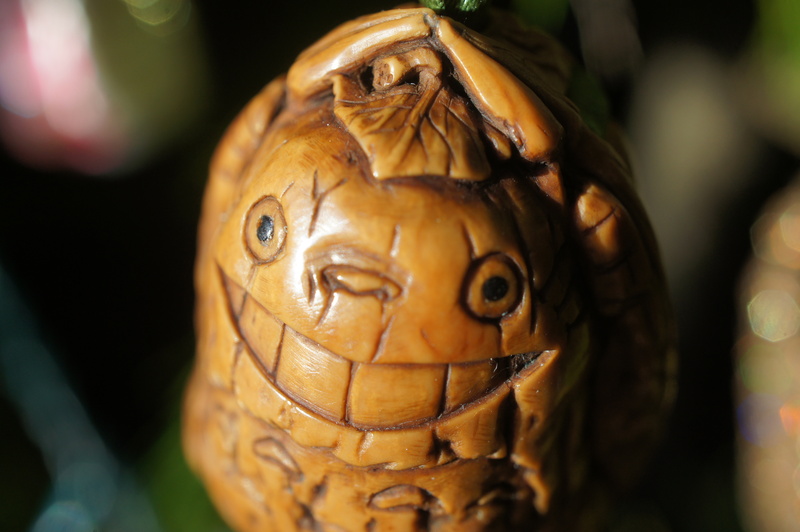 It started life as a walnut netsuke based on studio Ghibli’s classic character Totoro but I abandoned it after I noticed a hairline crack. 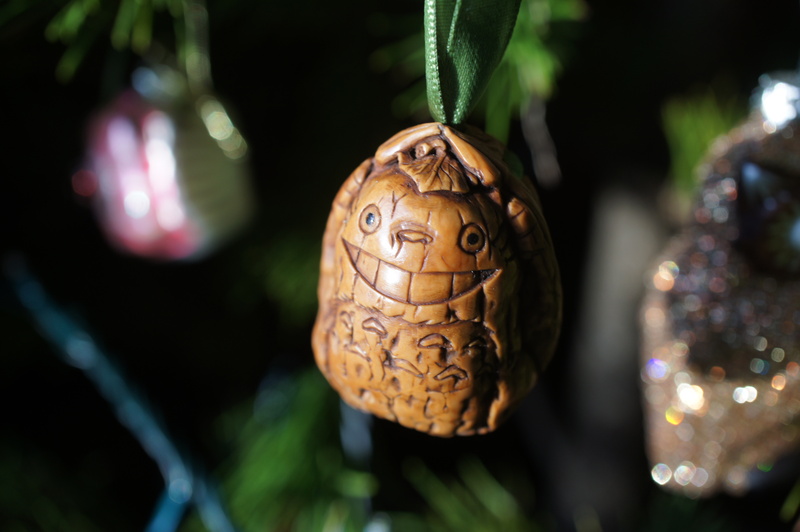 After erecting our Christmas tree the inspiration hit me to salvage the failed netsuke as it would look rather festive on the tree. After drilling a few extra holes and threading some ribbon through them my Toto-nut bauble is complete and looks rather grand on my tree. I think I may make some more festive nut baubles for next year.